STAREAST 2019 will be held at the Rosen Centre Hotel in Orlando, Florida. In a city known as a world-class destination, this award-winning hotel establishes a standard of meeting quality with exceptional facilities, a highly respected staff, and beautiful accommodations. This resort combines impressive meeting capabilities with resort-style luxury and is just minutes away from Orlando’s famous theme parks. STAREAST attendees can enjoy a productive business environment and a superb vacation opportunity. PHONE RESERVATIONS—Call the hotel reservations line directly at 800.204.7234. When calling, be sure to mention the STAREAST conference to get the special conference rate. If you need special facilities or services, please notify the agent at the time of reservation. TechWell has learned that various third party hotel booking agencies have been contacting conference sponsors, speakers, and attendees offering to book rooms at the Rosen Centre. Please be advised that these third party agencies have no relationship with TechWell or the Rosen Centre Hotel, and is not authorized to book rooms or make any arrangements related to the conference. If you are contacted by one of these agencies, please notify us at [email protected]. Whether you are attending alone or with the entire family—Walt Disney World® Resort is offering specially priced Meeting & Convention Disney tickets to Magic Kingdom® Park, Epcot®, Disney's Hollywood Studios®, and Disney's Animal Kingdom® Theme Parks. This discounted Disney ticket window closes on April 27, 2019. Click here to learn more. 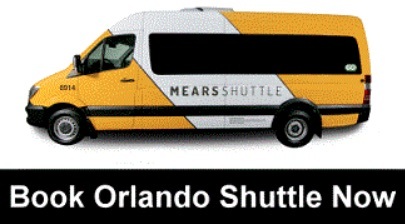 A convenient and affordable transfer between Orlando International Airport and your hotel. Click here to learn more.